When I heard that Movenpick Dessert Boutique was coming to the North East, I really couldn't wait to go along and treat myself to something sweet. I have always had a sweet tooth, and to know there's a place I can pop into between shopping for a bit of a sugar kick is good news to me. Located upstairs in the middle of the food court, it's a really brightly lit, welcoming place with a black, red and white colour scheme with everyone's favourite copper accents. 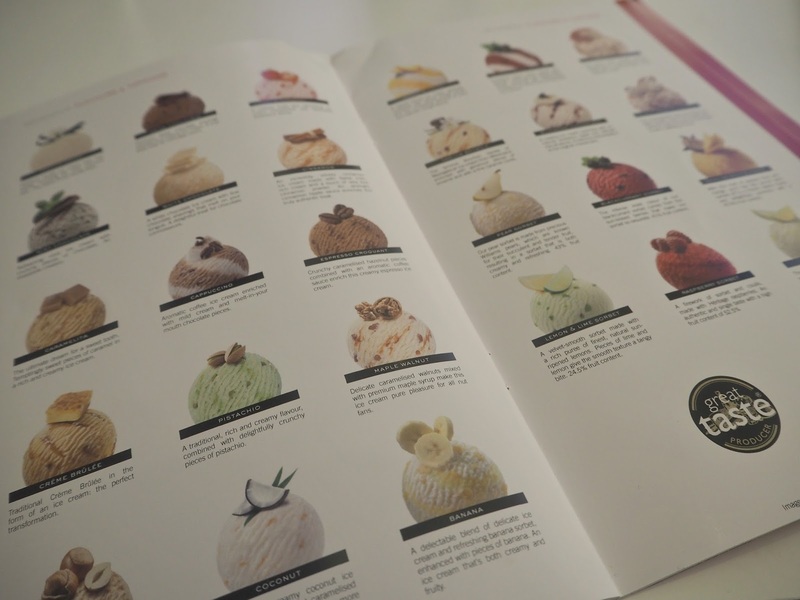 The menu is really impressive, there are almost endless choices of flavours of Swiss ice creams and sorbets, plus plenty of cakes, crepes and coffees to keep even the fussiest of customers happy. 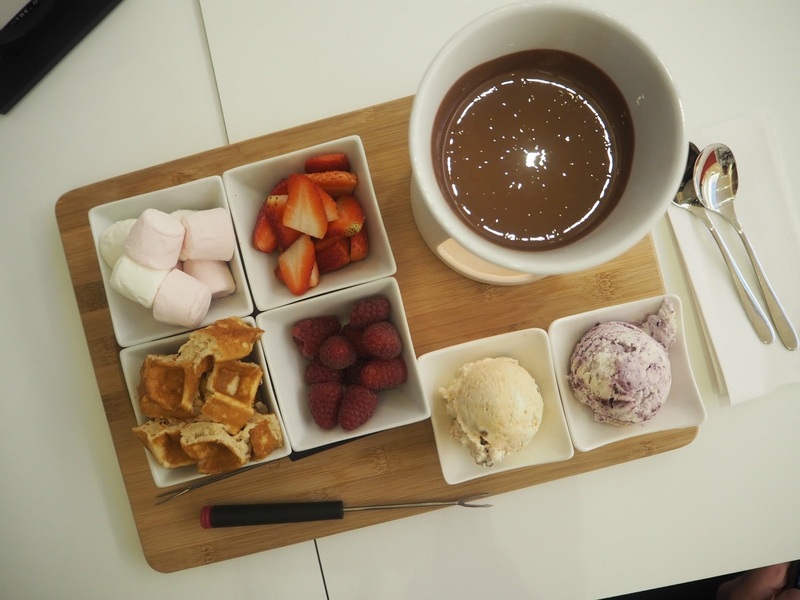 As we were feeling quite hungry, we chose to treat ourselves to the chocolate fondue with fresh strawberries, raspberries, marshmallows and waffle pieces to dip. 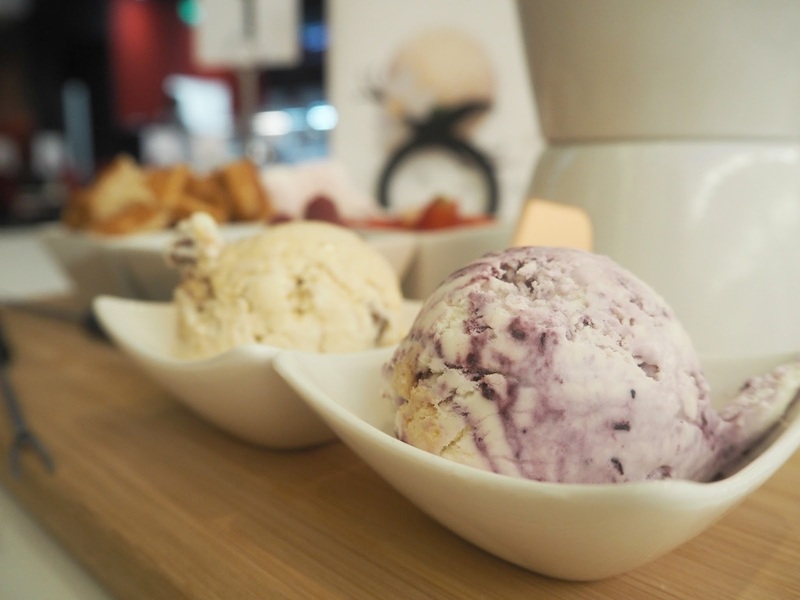 We also got a scoop of ice cream on the side each; I chose Vanilla & Brownie flavour and Robbie went with Blueberry Cheesecake flavour, both of which were really delicious and creamy. The fondue was a real treat and incredibly moreish, served on a wooden board with skewers to dip your treats, a candle lit chocolate pot and spoons for indulging in the melted chocolate at the end, it's such a cute little novelty. It's also a really good idea for a date night treat or a little surprise for a loved one between shopping. 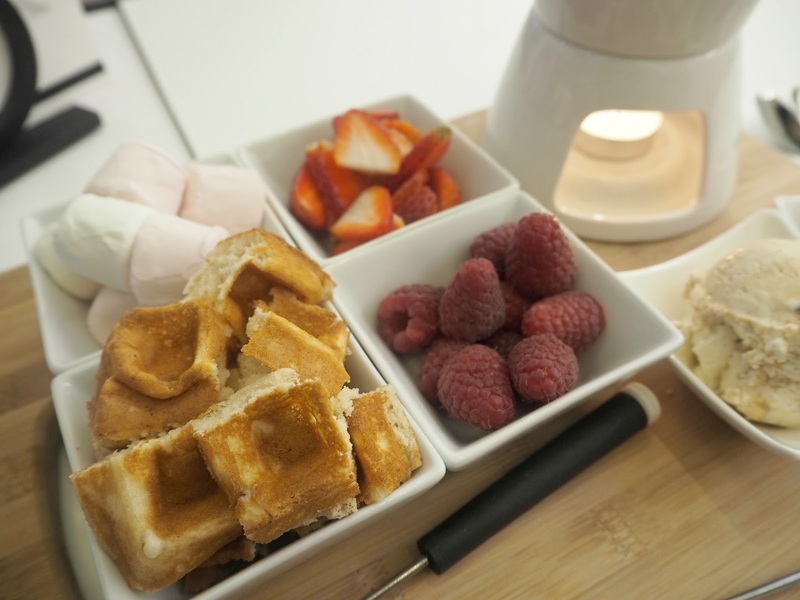 We were able to choose from having four 'biscuits' to dip (which included waffle pieces, marshmallows and mini meringues), four fresh fruits or a mixture of both... A mixture of both was the perfect idea, with the fresh fruit providing a little bit of refreshment between bites of the freshly made waffle and marshmallows. The prices are a little steep, but they are justified, as everything is so delicious and of such high quality... I'm even slightly ashamed to tell you that we couldn't quite manage to eat everything we ordered, the portions were so generous. Next time I visit I'm going to try and be a little healthier and try one of the sorbets... They looked amazing! 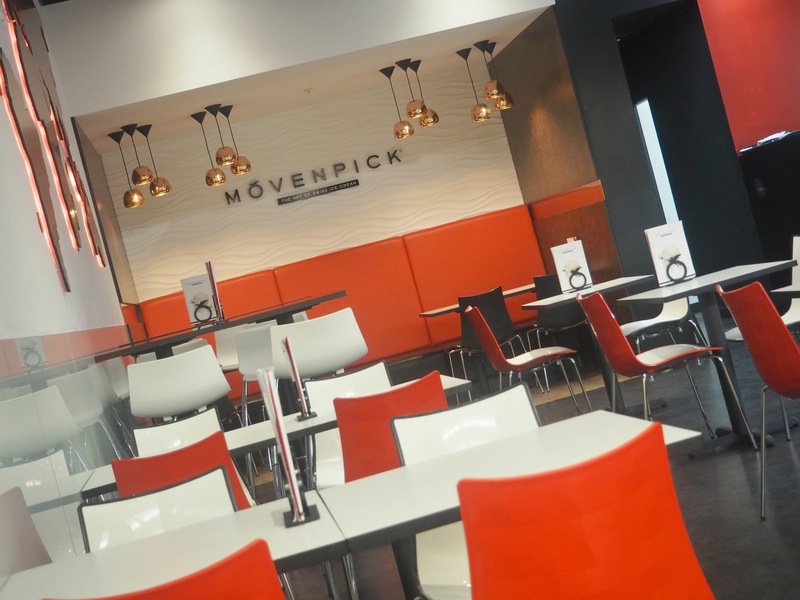 Have you been to Movenpick yet? 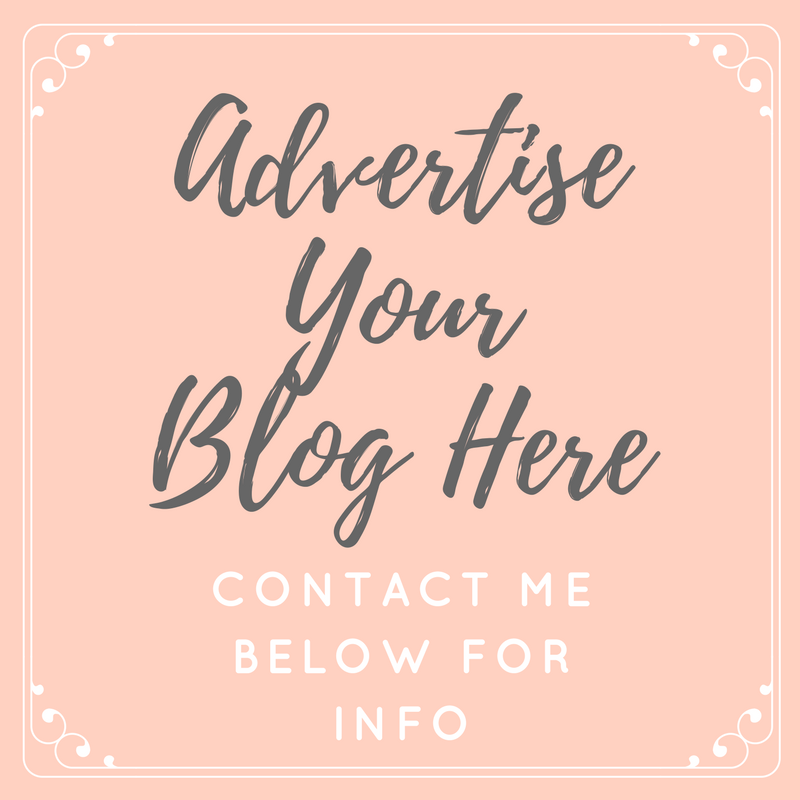 Let me know what you would recommend I try next.